The Prevention and Treatment of Moderate Acute Malnutrition Project funded by USAID and implemented by the WFP supports the Government of Tajikistan in improving nutrition and healthcare in the Balkhi, Shahritus, Kulob and Dusti districts of Khatlon and the Ayni district of Sughd. Through USAID support over the next four years, the World Food Programme plans to provide specialized nutritious food to over 24,000 malnourished children aged 6-59 months in more than 300 national primary health centers in targeted districts. Malnutrition rates in Tajikistan are the highest in Central Asia, with 29.4 percent of children anaemic and stunting rates at 26 percent nationwide. Khatlon has the highest rate of stunting in the country at 27 per cent. 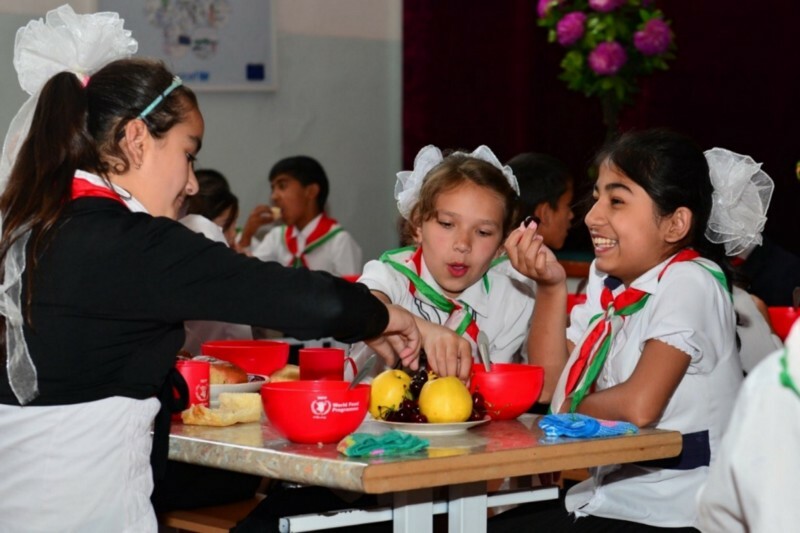 For the last 25 years, WFP has been providing life-saving assistance in Tajikistan while building and consolidating a national social protection system for food security and nutrition. WFP has also been working to improve the resilience of rural communities that are vulnerable to recurrent natural and economic shocks. The Prevention and Treatment of Moderate Acute Malnutrition Project is one of the many assistance projects made possible by the American people through USAID and the collaboration of the Ministry of Health and Social Protection of the Population of the Republic of Tajikistan. Over the last 26 years, the U.S. Embassy in Dushanbe has provided more than USD 1.8 billion in programs that support Tajikistan’s security, democratic institutions, social sector, and economic growth.